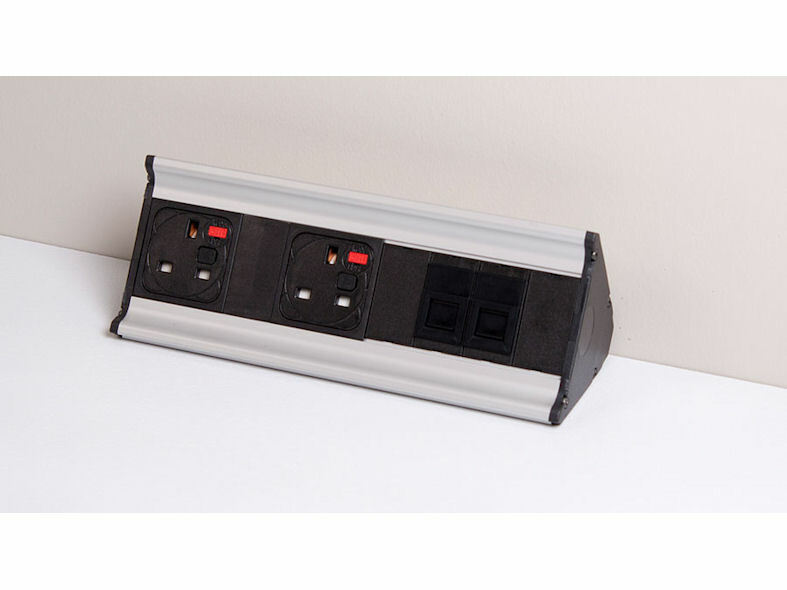 A desk top unit similar to the POD range housed in an alternative design of extrusion to provide an aesthetically pleasing yet practical solution for desk top power, data and telecom connections. 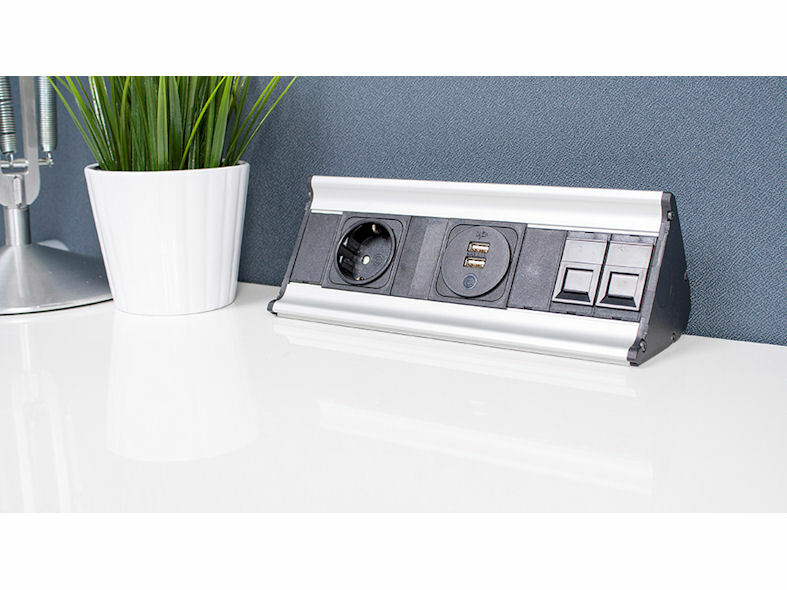 Particularly suited for Hot-desking situations or simply to provide personal desk top power for the general office. PENTA units can assist with meeting the requirements of the Disability Discrimination Act (DDA) in the workplace by providing facilities accessible to all on the worksurface. 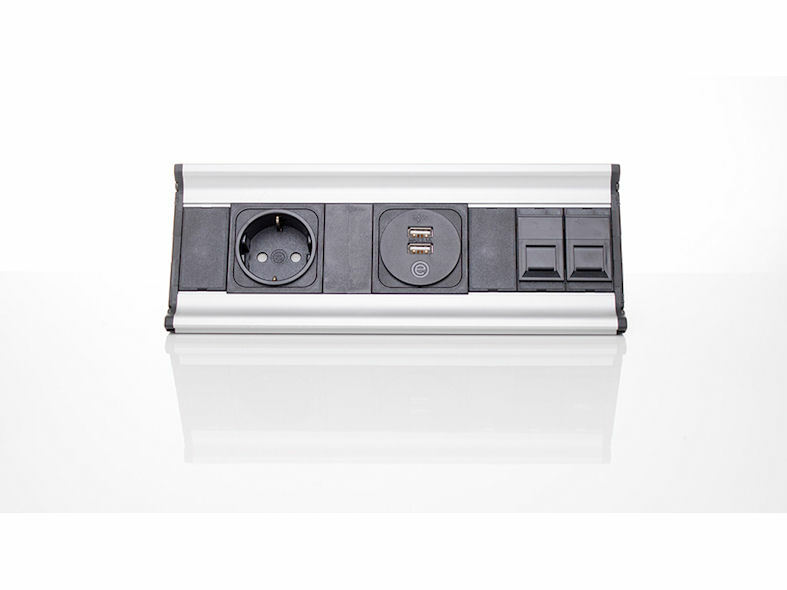 Used in conjunction with underdesk units PENTA provides a total solution for power and data connectivity at the workstation. 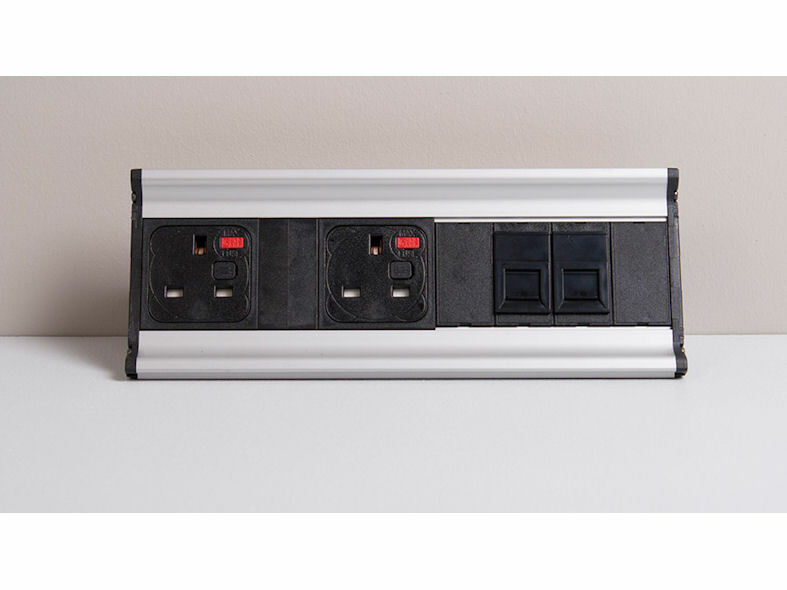 Based on an aluminium extrusion in lengths of up to 3 metres, PENTA may be used to accommodate mains sockets, data and other connectors as a comprehensive desk top unit to the customers exact specification. Standard colours - Silver anodised body - black fascias and end caps. Other colours available on request - may be subject to minimum order quantity.